As I wrote here earlier (Part One), my girlfriend, V, and I have been looking to get a car together. After the exciting test drive, we decided that we're going to go for it, despite the fact that we will now be completely broke. I'm talking about stealing free food from the grocery store and conferences at the university, then bringing it home to eat in the dark, because we can't afford electricity. In any case, we went back to the dealership to sign the forms and order our car. Since we wouldn't be quite broke enough after buying the basic model, we decided to spend a bit more and get the "passion" (i.e. pretty and luxurious) model. It will be black and silver and built just the way we want it. Nice. However, just as we were about to sign the order form, we heard a shattering sound from the front of the dealership. I grabbed V and hit the floor just in time to avoid being hit by a flying smart car which had just crashed through the front window. It rolled a few times, destroying several million-dollar Mercedes cars. Immediately, every car salesman pulled out guns from under their sharp suits and began firing at the window. At first I couldn't see what they were firing at, but as the dust settled I saw a dark shape standing there. It was Bigfoot again! He was alive! I could see that Bigfoot was still burned from our last encounter, but appeared to be fine. He swatted away bullets like flies, and leaped into the dealership. 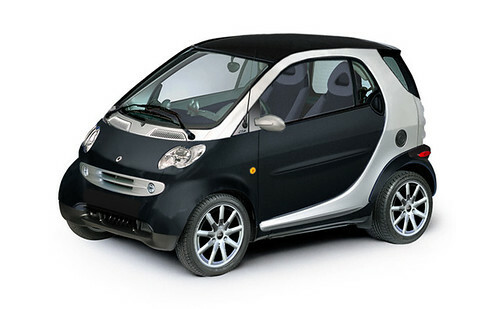 He picked up another smart car from the show floor and bit off a side mirror with his teeth, before crushing it between his hands like a tin can. He was about to smash another car, when there were sirens in the distance. 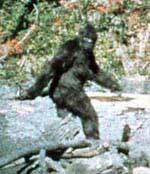 Bigfoot paused, then leaped back out the window and disappeared. I turned to the salesman, who was already cleaning his shotgun and appeared completely calm. "Don't worry about that, happens all the time", he said, and slid the forms toward us. I asked him what the hell was going on, but he said that was a story for another time. I sighed, then signed away $250 for the desposite. Damn, $250. That's messed up.